In order to be able to run farther and jump higher, many athletes have tried to enhance their performance by consuming a variety of drugs and supplements. Creatine supplements are among the most popular, partly because of the wide availability, partly because it has shown real effects in increasing muscle mass and delivering bursts of power. However, there are generally two types of Creatine supplements on the market. The first is Creatine HCL, whereas the second it Creatine Monohydrate. 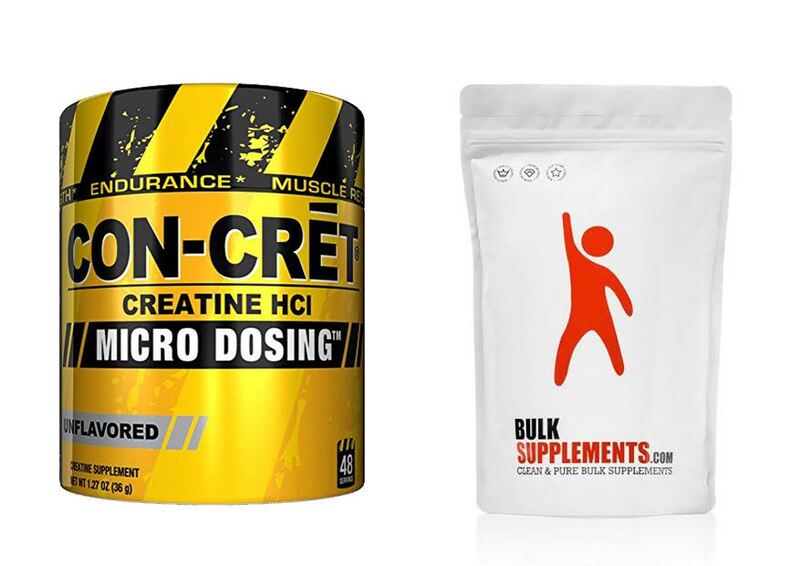 So, what is actually the difference between Creatine HCL and Creatine Monohydrate? Creatine Monohydrate is actually the product of an older technology, as it has been in the sports supplement market since about twenty years ago. On the other hand, Creatine HCL is a newer product that has just recently arrived on the market. Both products claim to be able to increase your strength, endurance, and recovery rate. They are ideally taken before a workout session so that you will have extra power to exercise more effectively. The problem with Creatine Monohydrate is that it can cause some side effects. The most well-known side effect of Creatine Monohydrate is bloating. Creatine Monohydrate is not very soluble, and it is difficult to digest. As the effect, when you take Creatine Monohydrate, some amount of it may be left in the gastrointestinal tract. There, it may accumulate water, causing bloating. It can also be utilized by the bacteria in the digestion system, causing imbalances that reduce nutrient uptake. Compared to Creatine Monohydrate, Creatine HCL has a much more simplified structure. It is also more concentrated. As the effect, you can use Creatine HCL with less dosage to achieve similar results like Creatine Monohydrate. The simplified structure has also made Creatine HCL very soluble and easy to digest. Creatine HCL can be digested and absorbed by the body much more quickly. Thus, it does not cause those side effects like Creatine Monohydrate. Nevertheless, regardless of your choice, it is a wise idea to drink a sufficient amount of water when consuming a Creatine supplement. Well, this is especially true for a Creatine Monohydrate supplement. If you don’t want to get the side effects, take the supplement with hot water so that the supplement can be properly dissolved. Of course, between these two options, Creatine HCL is more recommended. It works as effectively as Creatine Monohydrate – if not better. At the same time, it does not cause the side effects that can be caused by Creatine Monohydrate.